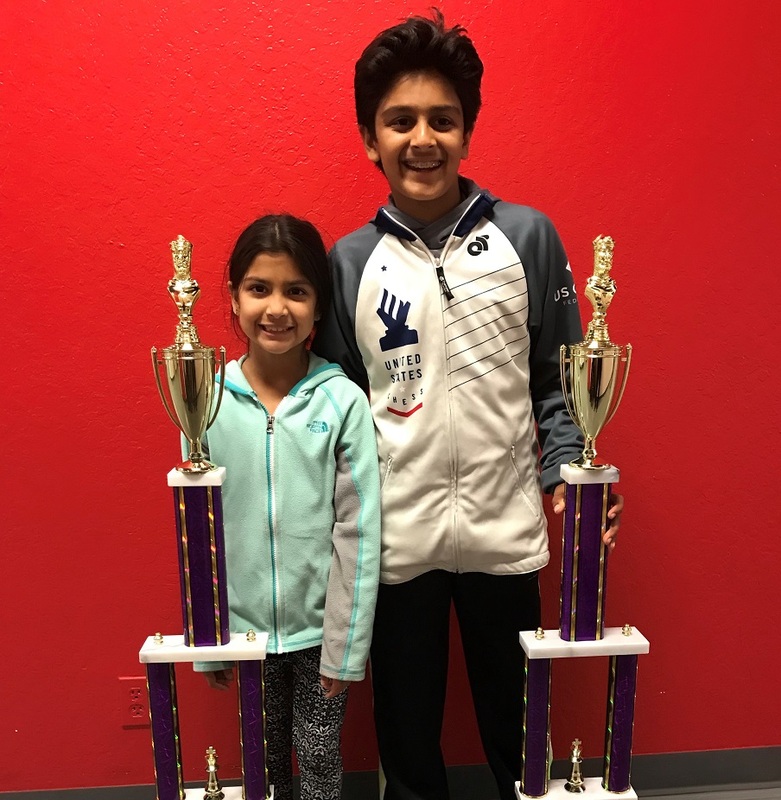 At the US National Junior Chess Congress in San Jose this past weekend, lower school chess competitors Vyom Vidyarthi, grade 5, and Omya Vidyarthi, grade 2, turned in impressive performances in their respective age groups. Though he qualified to compete in the “under 10” section, Vyom instead opted to compete in the “under 20” group, and took first place by winning all five games in the group, in addition to winning the blitz and tactics problem side events! Meanwhile, Omya took first place in the “under 8” section, her second tournament win in as many weekends after her victory in the 5-7 age group at the Cal Chess Girls State Championship in Berkeley on March 3. Omya is currently the top-ranked player among girls her age group in the US Chess Federation, and is ranked third overall among players ages 7 and under.